I grew up going to the library with my dad. He would take my brother and I there a few times a month and leave us in the kid’s section while he went upstairs to the adult section. We were old enough at that point to be alone. I loved walking around and sitting at the little tables with a pile of books. It was then that my passion for reading began to blossom. About months ago, I started taking my children to the library. We go every other week and pick out a big bag of assorted books. They pick out a few and then go play in the little playroom that they have while I pick out the rest. Each night, right before going to sleep, I allow my children to pick one book each from the pile and I read to them. This is the highlight of my day, not just because I know that I will soon have some peace and quiet after putting them to bed, but because this is a wonderful opportunity to be close to my children. We sit on the bed in their room – one sits on one side of me and one sits on the other. They cuddle up close to me and I read all different kinds of fun stories. My son often likes to pick books about trucks and tractors. My daughter likes to read about animals. I (being an artist) usually choose the books that are filled with colorful illustrations. 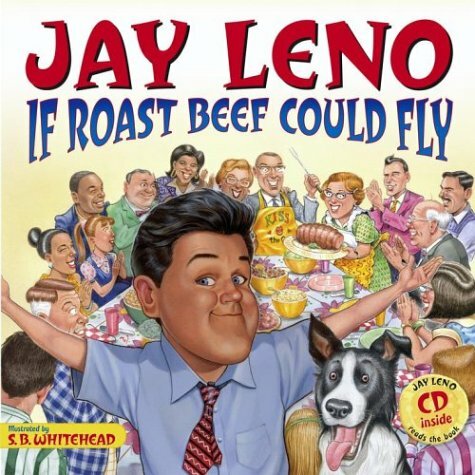 We just read a really funny book written by Jay Leno, called If Roast Beef Could Fly. I have to say that that is one of my favorite children’s books as of late. It is hilarious and the artist did an awesome job with the illustrations. You definitely should look into borrowing this one from your local library. 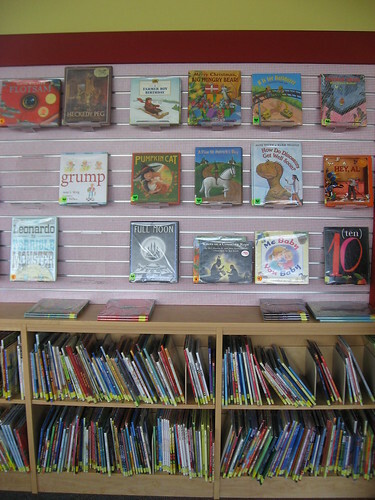 Library books are a great way to get your children used to the idea of reading. It is so important for children to learn how to enjoy books early on. Do you take advantage of your local library and the wonderful resources they have to offer? Many libraries offer reading programs for all ages. Be sure to start shaping the imaginations of your children through the greatest learning resource in history – BOOKS. Thanks for the book review. I would love to hear more suggestion for children’s books. I too love to read with my son every night and we make several trips a week to the library for new books. He is 3 and we just read “Llama Llama Mad at Mama” by Anna Dewdney and he loved it. It is really cute! I LOVE the library. Probably helps that I use to work at one. 😉 We are taking advantage of their summer reading program. The library has incentives for when the kiddos read, and has special performers. It’s a ton of fun. Since I stopped working when my son was born, this is the first time I’ve been able to enjoy the fun of the summer reading program as a mom, and it’s great. I like the picture you took…I like the display of the books. It’s nice to see other people all over the country take advantage of their library system! Bravo! On a side note…I see you have a baby gadget on your sidebar. Are you pregnant, or is that old? The library is one of your best loved family places in the city. We are always there and taking advantage of everything they offer! We like our local library, a lot. The hardest thing is that both my husband and I have library cards now. So keeping track of the books is a little harder. He’s been getting all the Boy chapter books and reads them with the boys before bed. The book is treasured and hunted for all day. I have to hide it so they don’t peek. Makes us smile to see them so happy about reading. I tend to get the picture books although this week since it’s the gap between one school year to the next ( year round school) we’re keeping up our reading with a big pile of easy readers. .-= Melitsa´s last blog ..Holy Hail Batman =-.